Jing Hua, established in 1989, started from its humble beginnings at Qun Zhong Eating House, a restored shophouse at Neil Road. 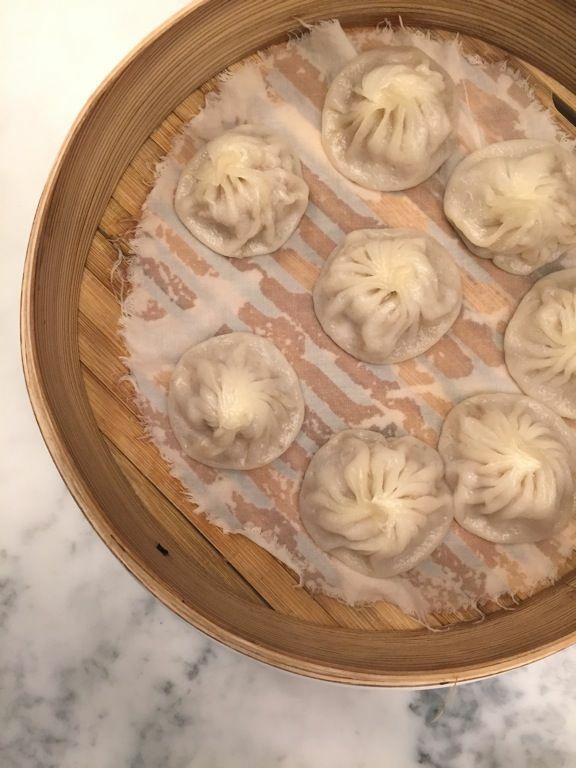 I did not know about this famous Xiao long bao and dumpling stall until they opened their third outlet at Palais Renaissance but I heard that the original outlet is super famous and there would be snaking queues especially at meal times. Well well town is more accessible for me and I found Jing Hua to be a good alternative to the crowded and noisy Din Tai Fung. The Orchard outlet departs a little from the 小吃店 style of the other outlets. The ambience is certainly more posh and retro-chic (it reminded me of the mod 茶餐厅 decor of a particular Starbucks in HK). Premium beverages e.g. Pu'er tea, are offered here along with spirits. 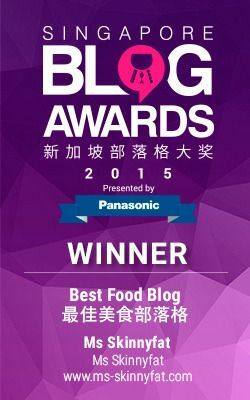 Pick from the Chinese Shao Hsing wine, Baijiu ,and Japanese whisky, and shochu. If you're thinking why Japanese drinks? 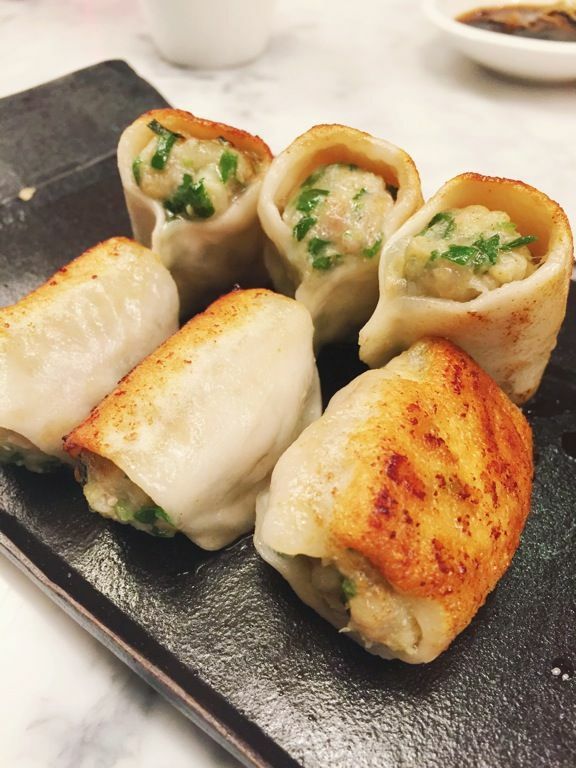 Well fried dumplings are like gyoza and dumplings are great bar bites. So let's start with my picks. 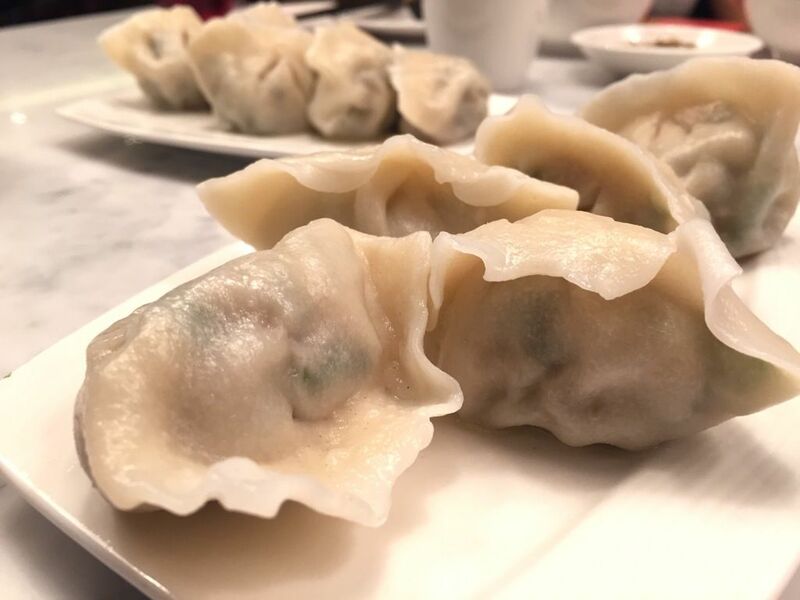 Do not miss the Little Juicy Steamed Meat Dumplings (小笼汤包) ($5/4pcs, $8.80/8pcs). The first thing I noticed was the delicate skin. It was thin, smooth and slightly chewy. The texture resembled a thinly rolled out chinese kueh without the stickiness. The skin is made from a special recipe and used in most of their flour products. I cannot stop raving about that texture! The lightly marinated pork meat wasn't too minced (slightly coarser than din tai fung) and hence the sweetness of the pork does come through. If I were to grab a quick bite, I'd certainly go for the Boiled Mixed Seafood and Pork Dumplings (三鲜饺子) ($5/4pcs, $9/10pcs) or the Pan Fried Mixed Seafood & Pork Dumplings (三鲜锅贴) ($6.50/6pcs, $9.50/10pcs). I can't decide which I prefer. 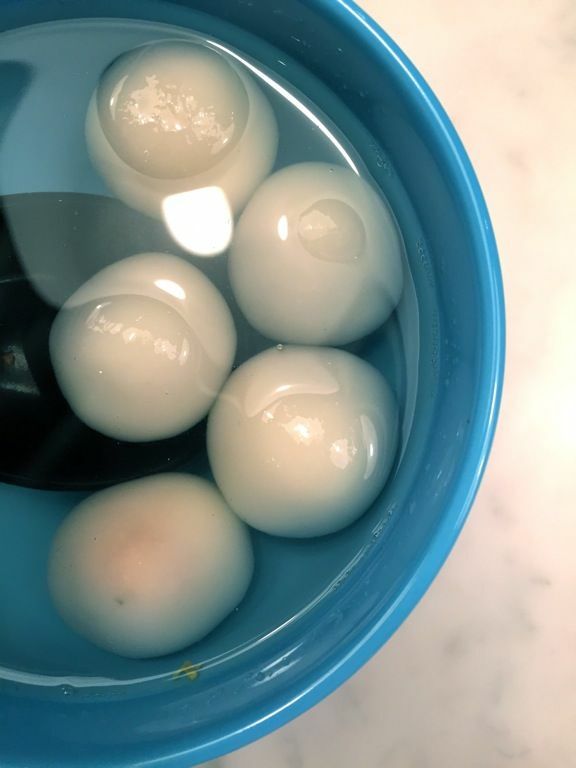 The boiled ones were fat and juicy, and they make for a delicious and healthy snack. The fried ones maintained the juiciness of the fragrant meat filling and the bonus was the added crunch. What's great was the shell maintained that light chewiness on the interior. These little crispy poppers were quite irresistible. The Noodles with Minced Pork & Soya Bean Sauce (炸酱面) ($6.80) didn't wow me. It wasn't the fault of the yummy noodles (made from the same dough), the downfall was the sauce. Perhaps I'm accustomed to the rich soy bean sauce that comes with the typical 炸酱面 so this was kinda bland for me. More sauce was needed to coat the noodles as well. I'll suggest you add some of that soy bean chili paste (it was good with the noodles and gyoza) to boost the flavors. The problem with many dumpling stores is that the flavors get boring after a bit due to the usage of the same filling. 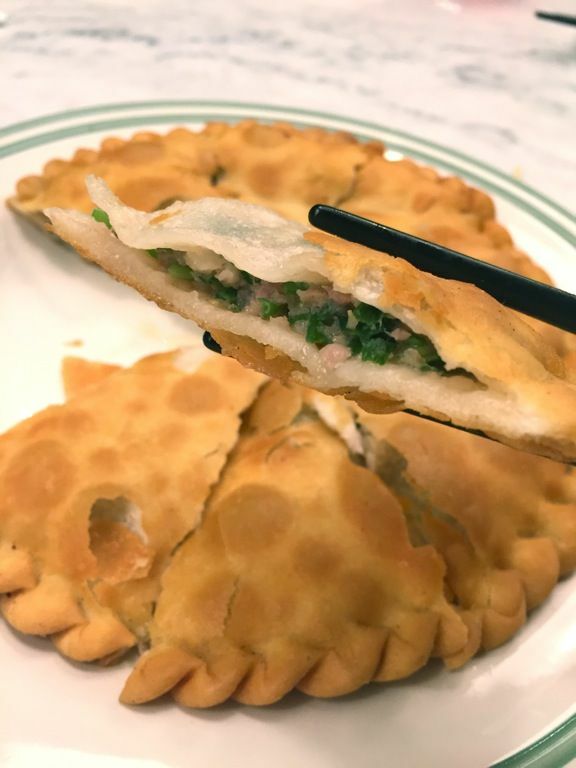 Even though the seafood, minced pork, and chives paste was used in several items, including the Chinese Pizza (三鲜盒子) ($10.80), the differing textures arising from the methods of preparation made each dish different. That said, the chinese pizza didn't do so well as the puff pastry was a little thick and dry (think epok epok skin) and hence I left it mostly untouched. The meat to pastry ratio could also be worked on (too little meat, too much dough). The Sweet Osmanthus Flower Rice Ball Soup (桂花汤圆) ($4) was a lovely way to end our meal. I loved that fragrance of Osmanthus in the soup! The dish may look bland with the white mochi balls and clear soup but it was anything but simple. The glutinous rice balls were filled with peanuts, red bean paste, lotus and walnut paste, and black sesame. Most pastes were smooth (loved the lotus walnut) with the exception of the powdery sesame. Crispy Red Bean Pancake (豆沙锅饼) ($10.50) was alright. 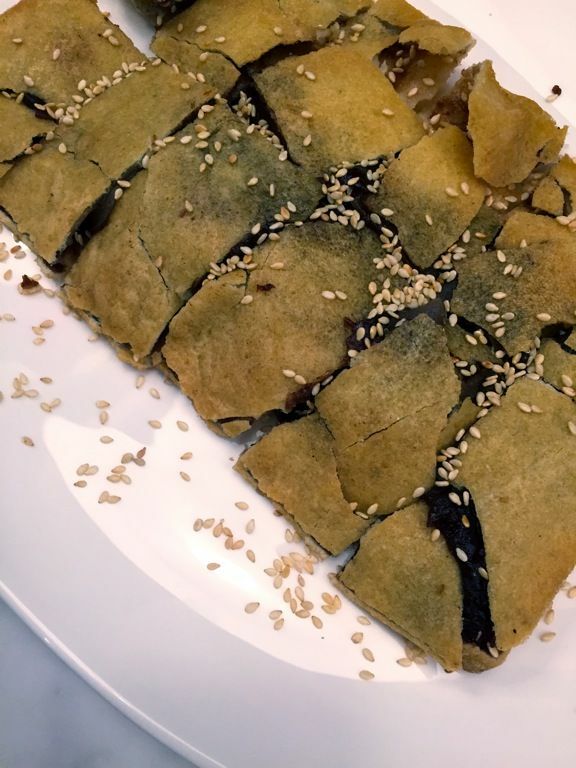 Made from glutinous rice flour, the texture was slightly airy, with a keropok texture. The inner layer still maintained the mochi-like chewiness. I thought the texture of the pastry paired nicely with the slightly coarse red bean paste. 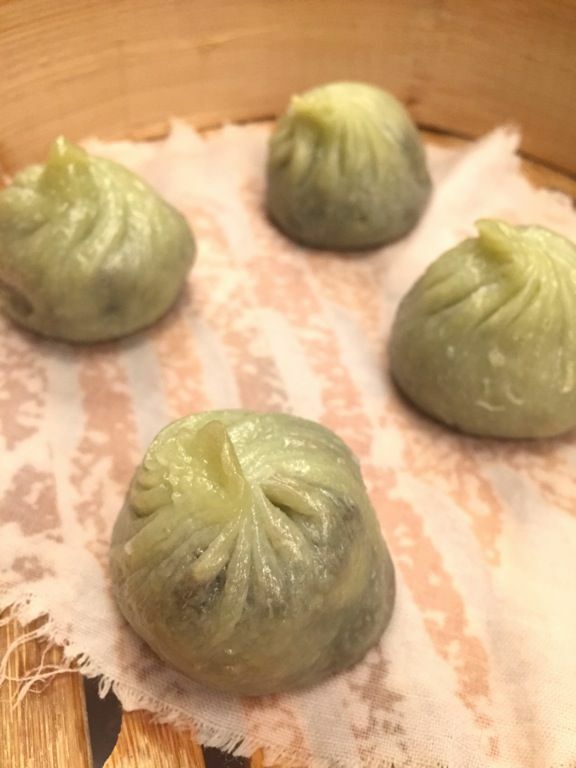 I usually don't have steamed sweet buns for desserts but the Green Tea Red Bean Steamed Dumplings ( 绿茶豆沙小笼包) ($4.50/4pcs) sounded too enticing. Great skin again and the red bean paste was fine, smooth and a little more fluid than the regular baos. The green tea flavor could be enhanced though. 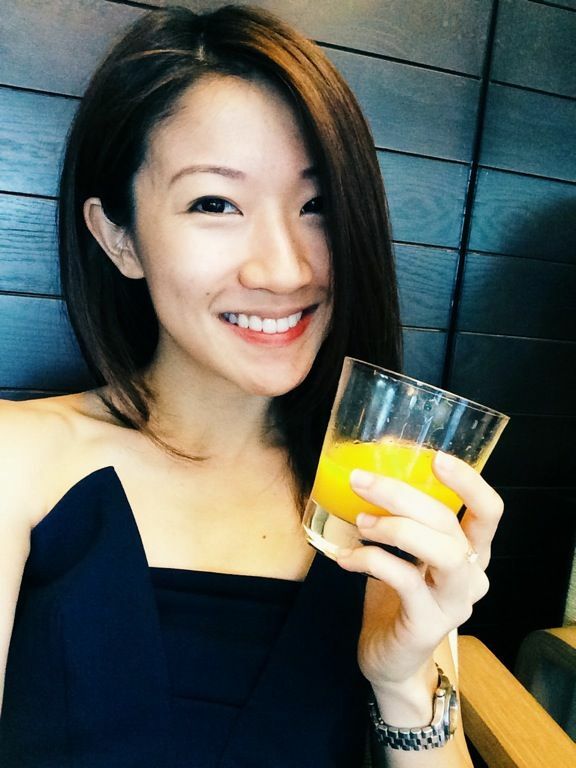 In all, Jing Hua Restaurant is a great spot to grab a quick bite in town. It may be slightly off the Orchard Road belt but you would get away from the madness. I'll pick this over Din Tai Fung if i have a dumplings craving.